The Department of Justice, in conjunction with the Department of Health and Human Services (HHS) and other federal departments, revealed on Thursday the largest crackdown on health care fraud in U.S. history. During a DOJ press conference, Attorney General Jeff Sessions said the Health Care Fraud Takedown, which is now operating in its eighth year, charged 412 defendants, including 56 doctors, accused of defrauding taxpayers around $1.3 billion. 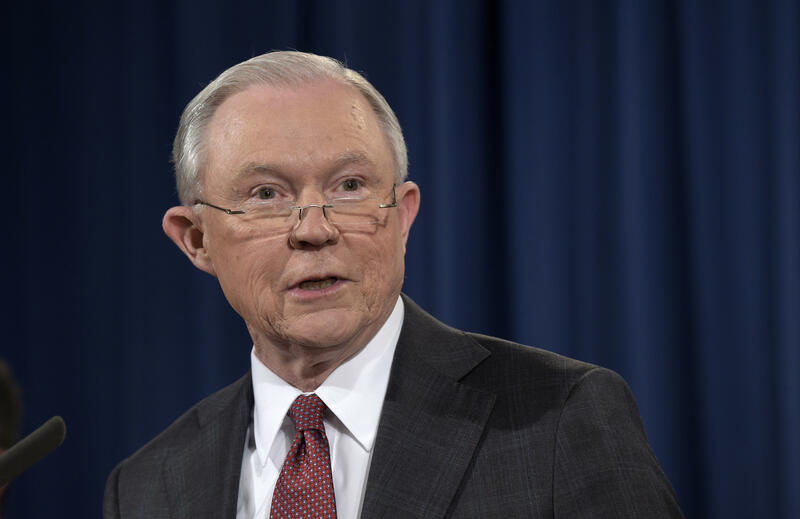 "Too many trusted medical professionals like doctors, nurses, and pharmacists have chosen to violate their oaths and put greed ahead of their patients," Sessions said. "Amazingly, some have made their practices into multimillion dollar criminal enterprises. They seem oblivious to the disastrous consequences of their greed." Sessions said that because of the crackdown, 295 health care providers could now potentially be suspended or barred from participating in federal health programs. The operation was labeled by Sessions and HHS Secretary Dr. Tom Price as the "largest opioid-related fraud takedown in American history." "We are sending a clear message to criminals across the country: we will find you. We will bring you to justice. And, you will pay a very high price for what you have done," Sessions said. Of the 412 defendants, 120 were charged with crimes related to improper issuance and overprescribing of opioids, billing government health services for fraudulent claims, swapping prescriptions for money and illegally recruiting subscribers to medication, among other things. "Thanks to the efforts, fewer criminals will be able to exploit our nation's opioid crisis for their own gain," Price said at the conference. "And this really epitomizes what the national takedown operation is all about." Raising the nation's confidence in and protecting federal health programs such as Medicaid and Medicare, Price said, were some of the central aims of the operation. Price added that President Trump "instinctively understands the importance of saving and strengthening Medicare and Medicaid," pointing to the president's first budget request, which asked for an increased investment in the HHS' Health Care Fraud and Abuse Control Program. At the end of the press conference, Sessions and Price discussed their strategies to address the country's drug-addiction epidemic, which is heavily fueled by increased levels of opioid prescriptions. Sessions likened his strategy to efforts employed by the Reagan administration during the 1980's. He presented a synthesized three-prong approach: prevention, cutting distribution and providing treatment options. Price tacked on a couple more strategies, including increasing access to anti-overdose drugs such as Narcan, which is used to offset opioid-induced overdose symptoms, supporting research for anti-addiction vaccines and non-euphoric pain medication and identifying social conditions that spread addiction. Sessions and Price were joined at the conference by acting FBI Director Andrew McCabe, DEA Director Chuck Rosenberg and HHS Inspector General Daniel Levinson. The FBI employed 29 of 56 of its field office locations for the operation. Both the DEA and HHS played vital roles in the process, lending resources and personnel for the investigation. Many of the charges, Sessions said, arrived because of tips from community members and cooperation between local, state and federal law enforcement.